On early Sunday morning, two violent incidents, both bearing the hallmarks of organized crime, left a total of six people killed and several others injured. The first incident took place in front of a bar called “El Botanero”, located in colonia La Vente, in the satellite city of Ixtapaluca (State of Mexico) some 30 kilometers southeast of Mexico City’s center. At about 04:30 hrs local time, a Seat León with license plates of the state of Guerrero was intercepted by two other cars. An unknown number of assailants then apparently got out of the cars and opened fire, killing two men, identified as Ariel Ledezma (30), Adrián David Peniche Aguilar (32). While one of the deceased died in the backseat of the car, the other was purportedly shot dead while trying to disembark. 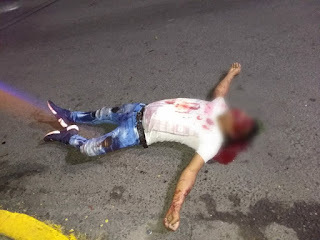 In addition to that, the driver of the attacked car, identified as José Francisco Quintana Villanueva (34), was seriously wounded by four bullet impacts and transferred to a hospital. In total, there were 25 9mm cartridges found at the scene. The attackers fled the scene unidentified in the two cars. The second incident took place within the perimeter of Mexico City, in colonia Santa Cruz Meyehualco in the borough of Iztapalapa, situated approximately 14 kilometres southeast of the city center. 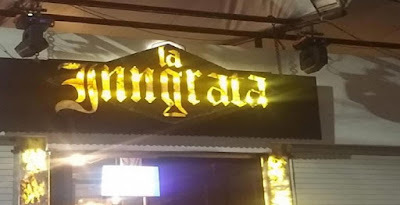 At about 03:00 hrs local time, three attackers, according to initial testimonies, stormed a bar/club called "Cervecería La Ingrata" and started shooting, leaving three men and one woman dead and at least two people injured. 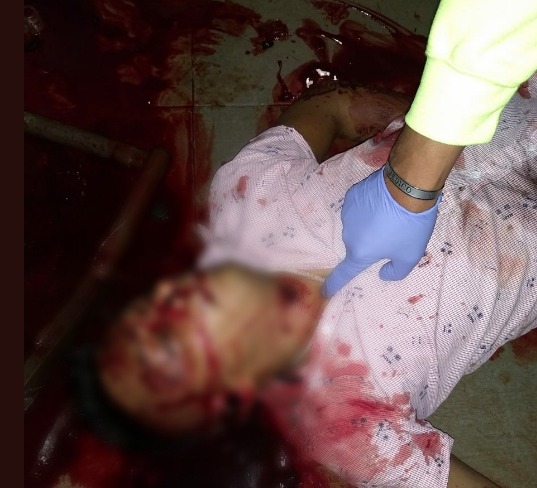 The killed people were identified as Gabriela “N” (19), Juan Carlos “N” (35), Hugo “N” (30), and another so far unidentified man reported to be 20 years of age. 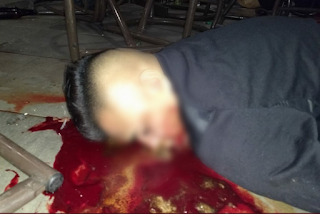 According to reports, two of the deceased were killed in the bar while the other two tried to flee just to be shot dead outside of the bar by another two sicarios, waiting there. Similar to the first incident, the attackers fled the scene unidentified. Initial reports indicate that the incident is related to the retail sale of drugs in southern Mexico City. Both, Ixtapaluca and Iztapalapa, are notorious for their high crime rates and are thus regularly scene of such incidents. Welcome Oaxaqueno! Carnitas con tortillas on the left, tamales de Pollo on the right. Mmmmmmmm tamales are good, could I take 2 dozen to my fellow compensinos? Thanks for helping out Oaxaqueno.